In Part 2, I demonstrated how I use the Heartcompass Life Navigation System to Create A Mind With Heart and perform my Total Heart Mind Body and Soul Makeover. Today I am going to demonstrate how to combine the Life Navigation System with whatever spiritual, healing, personal growth or development programs or techniques you might now be involved with, even the Law of Attraction. Over the past ten or fifteen years I have been searching for information that could explain how and why the Life Navigation System works. I came across a number of heart centered healing techniques, discovered and created by other people. I studied these techniques, purchased training programs, and was fully open to switching to any of them if I found them more effective than Life Navigation. What I discovered instead is that the Life Navigation System can be a powerful complement to any other heart centered technique. So I started to combine them. So far, I have combined Life Navigation with Emotional Freedom Technique (Tapping), the Healing Codes (discovered by Dr. Alex Loyd), Heart Coherence techniques (created by Heartmath), the Compassion Key (Edward Mannix, author of “Impossible Compassion”) and finally, Law of Attraction techniques (Abraham-Hicks and The Secret). Emotional Freedom Technique (EFT or Tapping) helps open and clear the body's energy pathways by tapping on acupressure points while focusing on negative thoughts and feelings that need to be "tapped out", and positive or loving thoughts and feelings that are then "tapped in". 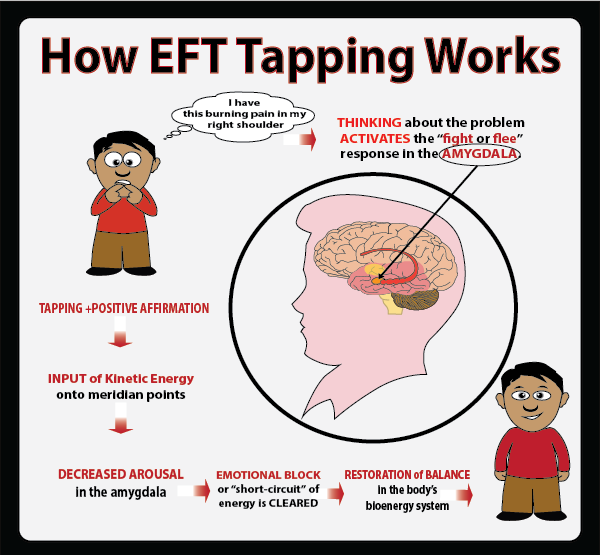 When I first learned EFT, I would go to EFT coaches, who were like counselors that could help me identify what I needed to "tap out" and "tap in". Once I became skilled at the technique, which is really quite simple and easy to learn, I realized I already had my own personal "EFT Coach". 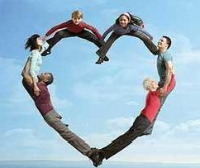 With the Heartcompass Life Navigation System, I can identify false fear based beliefs. I then apply EFT or Tapping to calm my body and "tap out" the fear based beliefs. This helps balance the brain and open the Heart for the next step; accessing Love based Truth from the Heart. After receiving and testing the Love based Truth from my Heart, I sometimes will "tap in" the Love based Truth, which creates a new energy pathway and helps install the LBT into my subconscious Mind where it can operate 24/7 on autopilot. 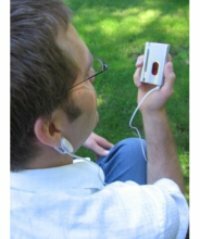 You can learn EFT for free at the website of EFT's founder, Gary Craig (emofree.com). If you already practice EFT, I recommend using the karate chop point whenever you feel stressed while saying, "Even though I have these false fear based beliefs, I still totally love and accept myself" - or whatever verbiage you are currently using for that acupressure point. The Healing Codes are a heart centered energy healing technique discovered by Dr. Alex Lloyd when he desperately needed to help his wife heal from debilitating depression. One of Dr. Loyd's colleagues was able to cure himself of a terminal physical illness that other doctors told him was "untreatable". The Healing Codes work by channeling divine loving energy via the fingertips into the core energy centers of the brain to relieve stress. I studied the program and received personal coaching. 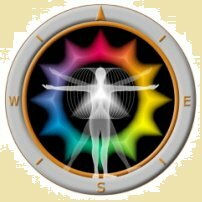 Once again, after learning how to do the Codes myself, I was able to use my Heartcompass Life Navigation System to identify sources of stress, access Love based Truth from the Heart, and apply the Codes to send that healing energy from the Heart to the brain. I then highly recommend combining your Heartcompass Life Navigation System with the Codes to get outstanding results whenever you need them. I came across the Institute of Heartmath while searching for scientific research to explain how I could possibly be hearing Love based Truth from my Heart - an organ that is supposed to circulate blood, not send energy and information to the body and brain! As soon as I started reading the research papers it became crystal clear to me. The energetic Heart, which is a vortex of energy, is also the central Chakra of the body. The Heart is literally at the center of our lives, connecting Heaven and Earth. 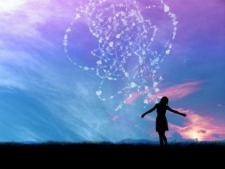 It is the gateway to our Soul, the energetic blueprint for our physical life here on Earth. 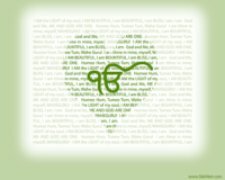 By accessing the Heart we can learn the Truth of who we really are, why we are here, and what we came her to be and do. By keeping the gateway of the Heart open, we can experience physical, mental, emotional and spiritual health and well being. The Institute of Heartmath developed the "Quick Coherence Technique". Simply focus on the area of the Heart, take a few deep breaths, and create feelings of love, gratitude and appreciation by imagining someone or something you love and are grateful for in your life. I teach this quick technique as part of the Total Heart Mind Body and Soul Makeover, and it can be used to create heart coherence and access the Heart in the LifeNavigation System. Understanding the true nature of the Heart, the heart's electromagnetic field, and the role it plays in mental, physical, and emotional health provides powerful motivation for practicing heart centered healing, and can help you trust your own Heart when you turn to it for Love based Truth for your life. Learn more about Heartmath – click here. 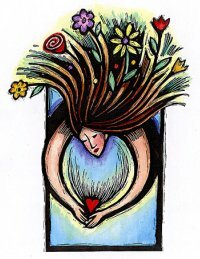 I came across the Compassion Key a couple of years ago when I was looking for other Heart centered energy healers who might be interested in working together to help people create A Mind With Heart. 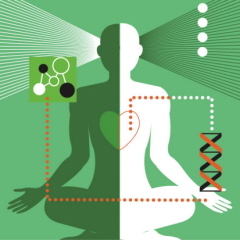 At first, the Compassion Key and Heartcompass Life Navigation seemed like very different approaches to healing the Heart and Mind. But I loved the Key and started to use it in my own life. What I discovered was that, during the "long form" of the Key, when I would ask myself "when was the first time I felt this way" and would bring forth the hurting child within, I could then help that inner child with the Life Navigation System in addition to sending her my compassion. Something happens in my life and I start to feel unhappy or upset. I ask, "when was the first time I felt this way?" Let's say I was 7 years old. I would sit down and imagine my 7 year old self emerging from my Heart to sit across from me. 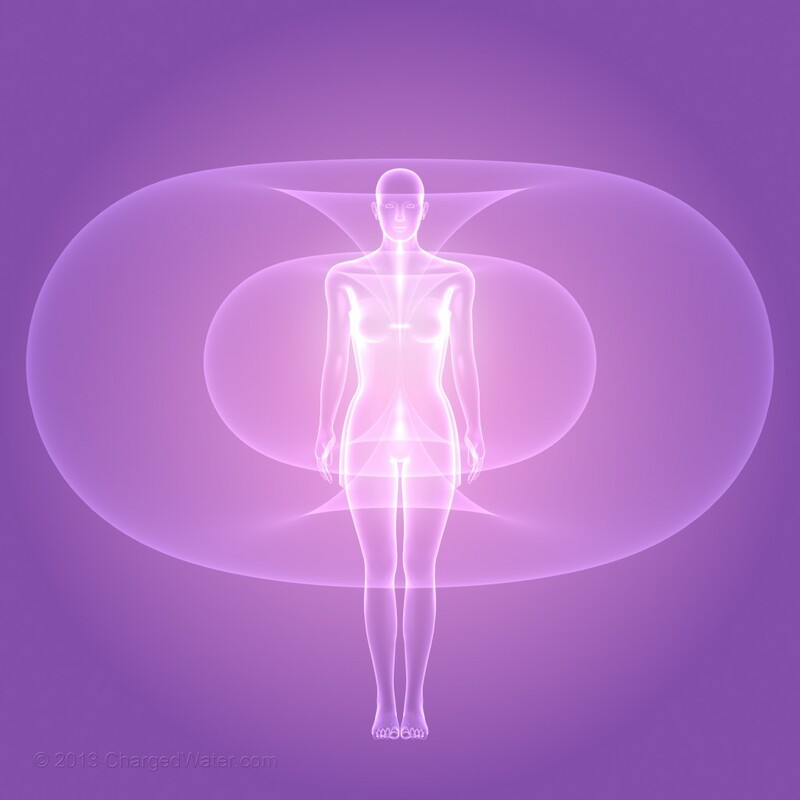 We are connected by an energy loop shaped like a figure 8. I ask my 7 year old self, "what are you feeling?" and "what are you thinking?" When she tells me, I say, "I am so sorry you ____________ (fill in the blank with whatever she is thinking or feeling)." The compassion I send to her has an immediate healing effect. In addition, I write down what she says on Post It Notes, put them on my Life Navigator's Chart, access my Heart for Love based Truth, and then send that healing energy to her through the figure 8 energy loop that connects us. When both of us are feeling peaceful and loving, I reintegrate her into my Heart. This is an amazingly powerful technique, one that can heal issues you have carried for a lifetime! 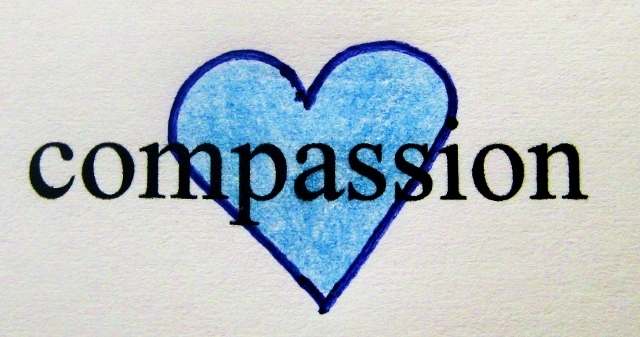 To learn how to use the Compassion Key in your own life click here. When I first started coaching people to use the Life Navigation System, I had a client who asked me how to use it to attract what he wanted in his life. I told him that the Life Navigation System isn't about law of attraction or getting things we think we want. Remember, the law of attraction requires that we must first believe we are separate from the things we want, so we can attract them to us. 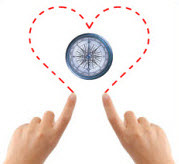 Heartcompass Life Navigation overcomes the Illusion of Separation. Years later, I accidentally discovered a technique that helped me identify the things I think I want, and replace them with my Heart's desires. The word "desire" can be translated as "of the father", or "of Source". Our Heart's desires come from Source, and are thousands of times more powerful than anything we might think or believe we want. 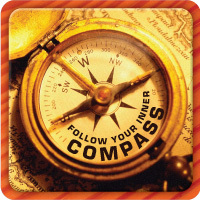 Applying the Life Navigation System this way could save you years of trial and error, experiencing the things you don't want, in order to discover what your Heart truly desires. It happened one day when I was sitting at my computer, using the virtual version of the Life Navigator's Kit. I was feeling frustrated, and I thought, "I want such-and-such!" (sorry, I can't remember the exact thought - and I did throw it away!). When we get frustrated we might be thinking, "I want more money!" or "I want to lose that weight!" or "I want so and so to love me!" We think these things because we believe they will solve our problems and make us happy. But what we are feeling is anger, frustration and fear. In other words, we are giving substance to the thoughtform of money, our body, or our relationships, with fear based beliefs. Years ago, when affirmations were a huge trend, we were told to say, "I want one million dollars" or "I have one million dollars" and overcome any doubts or fears about money by repeating these words until we believed it was true. The problem is, if what we think we want is not what our Heart desires, no amount of repeating affirmations can ever change that. It simply makes a lot more sense to just get to the root of the matter. Identify what you think you want, then ask your Heart for Love based Truth using the Heartcompass Life Navigation System. I did that, and instead of things, I would would find my Heart desires states of being. In other words, instead of "I want money" or "I want to lose that weight", the Love based Truth from my Heart might be "I am creative, giving, and receiving from Love and Light". Or, "I am safe, resourceful, and have access to all that I need." These are qualities, not things or actions. Feeling gratitude for the Love based Truth, I would then move forward with my day and find myself discovering new ways to receive money and improve my body. 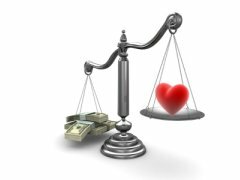 Next time you want to use law of attraction to get what you think you want, try adding in the Heartcompass Life Navigation System to first identify what you think you want to attract, and replace that with what your Heart truly desires. It could save you years of frustration and create peace and well being for your life. 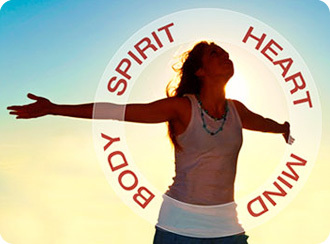 Now that you know a little about why humanity needs a total heart mind body and soul makeover, and how you can use the Heartcompass Life Navigation System to create your own Mind With Heart, I hope you will make a commitment to yourself to practice with the Life Navigation Kit for at least three weeks. 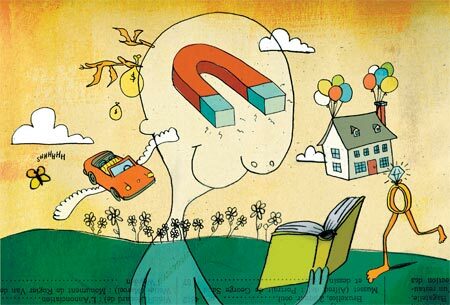 It takes three weeks to form a new habit in the brain. And using the Life Navigation Kit installs the System into your subconscious mind where it can act on autopilot. After a few weeks, you will start to automatically identify the fear based beliefs giving substance to your life experience, and replace those with Love based Truth from your own Heart. You will begin to feel, think, and act differently - from Love based Truth - and you will notice a difference in all areas of your life. Once you complete that first three weeks of daily practice, continue to use the Life Navigation Kit at least once a week. Just like any "fitness" program, if you stop completely the body and mind will lose the skills you worked so hard to achieve. You really can't go back to total belief in the Illusion of Separation once you begin the process. But I do know from personal experience that using the Life Navigation Kit does help, especially when you hit a rough spot or seem to get "stuck" for a while. To help you with this comittment I have created some resources for you. 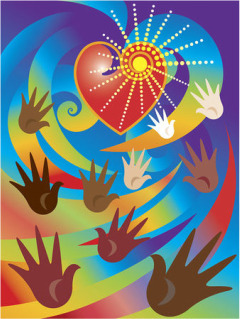 Being a member of the Foundation for Creating a Mind With Heart is a good place to start. I also created an online course. I call it the Total Heart Mind Body and Soul Makeover. It has several hours of lectures, and video tutorials of the techniques mentioned in this article. The Course is hosted on Udemy. I chose Udemy after taking a friend's course and I was so impressed by the quality, how easy it is to navigate and watch the lectures, and the ability to interact with other students as well as the teacher. I don't know about you, but if I really want to accomplish something, it helps to have someone hold me accountable to my commitment. When you enroll in the Total Heart Mind Body and Soul Makeover and subscribe to the Group Coaching option, you can interact with me personally, and I would be more than happy to hold you accountable if that's your style as well. If not, there's a ton of useful information and you can watch the lectures to learn more and keep you motivated. 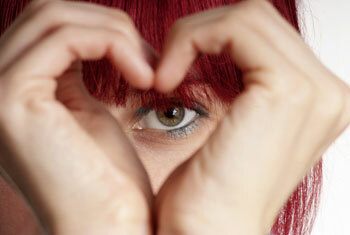 The Total Makeover Course has lectures about your Heart, your Mind, your Body and your Soul. 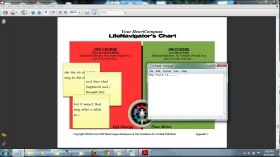 And each step of the Life Navigation System is outlined in a separate video lecture, with slides to help you get the most out of your Life Navigator's Kit and Chart. The Course is extremely affordable, and if you are a Foundation member you get a discount on the tuition. 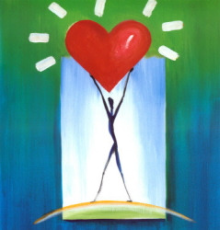 Join the Foundation for Creating A Mind With Heart now to get your members only discount coupon and enroll in the Total Heart Mind Body and Soul Makeover today. 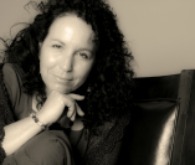 Go to the Total Heart Mind Body and Soul Makeover Course on Udemy now and use your members discount code when you enroll. Forgot your coupon code? Use the Contact form to let us know. P.S. - A Mind With Heart for the World! Our world is a holographic image created in the Mind. Every time you use the Heartcompass Life Navigation System to identify fear based beliefs and replace them with the Love based Truth, you are helping transform that image! It's true. No matter how small the change might seem, it gets duplicated in every zero point of the holographic image. And there are INFINITE ZERO POINTS IN THE MIND! That's right, the effect you are having is INFINITE. When you create A Mind With Heart for yourself, you create A Mind With Heart for the World. And the world needs A Mind With Heart! 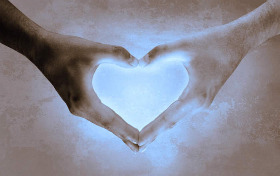 "Why Humanity Needs A Total Heart Mind Body and Soul Makeover (and what you can do about it!)" Joint the Foundation for Creating a Mind With Heart here. 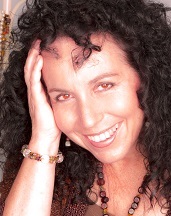 Visit the Total Heart Mind Body and Soul Makeover Course on Udemy. Or, Return to PART 1 or PART 2. Download the pdf version of Part 3. Go back to PART 1 or PART 2 of Why Humanity Needs A Total Heart Mind Body and Soul Makeover.